Whether it was the majestic Rockies in her own backyard of Canmore, Alta., the massive stone walls of Baffin Island, or the high-altitude peaks of the Himachal Pradesh in Northern India — where she drew her last breath — Anna Smith was compelled to seek out and immerse herself in the most stunning environments this planet has to offer. Update: Oct. 10, 2016 — The description of Anna Smith's final hours has been replaced with a first-hand account from her climbing partner, reached via email in northern India. Climbing, for Anna Smith, was all about "the high and the wild places." Whether it was the majestic Rockies in her own backyard of Canmore, Alta., the massive stone walls of Baffin Island, or the high-altitude peaks of the Indian Himalaya — where, last week, she drew her last breath — she was compelled to seek out and immerse herself in the most stunning environments this planet has to offer. "The beauty of those places, and how blessed we are, that that's a part of our lives, that we can reach out and access that — I think that's fantastic," she said in a June 2015 interview, in response to a simple question. Her first experience, she admits, was uninspiring. It was indoors. No ropes. No mountains. Just clinging to chunks of plastic bolted into plywood a few metres above a mat. But once she got a taste of the raw alpine world that climbing can open up, she knew: "This is what I want to do." And that, increasingly, was what the 31-year-old was doing. "Last year, she took 12 months off and we went on an extended climbing trip in the U.S. and in Canada for a few months, just living in the back of her truck," said Derek Cheng, a close friend and fellow climber. "She really wanted to set herself up so … she could have more freedom, and the way she loved to use that freedom was to be in the mountains," Cheng said. "The places she went, they're dangerous — they're objectively dangerous — but they also bring an unrivalled joy." The Alpine Club of Canada awarded Smith last year with the Jen Higgins Grant, a financial award named after a 22-year-old with a passion for the mountains who died in a car crash en route to the Little Yoho Valley in 1997. The annual grant is intended "to promote alpine-related outdoor pursuits for young women" and Smith used the funding for a three-week climbing excursion to a remote section of Baffin Island. "She came back from that expedition and they had climbed some really big walls and had an amazing time," Cheng said. "And this expedition into the Indian Himalaya was, again, funded by a couple of other awards that had been granted to her." 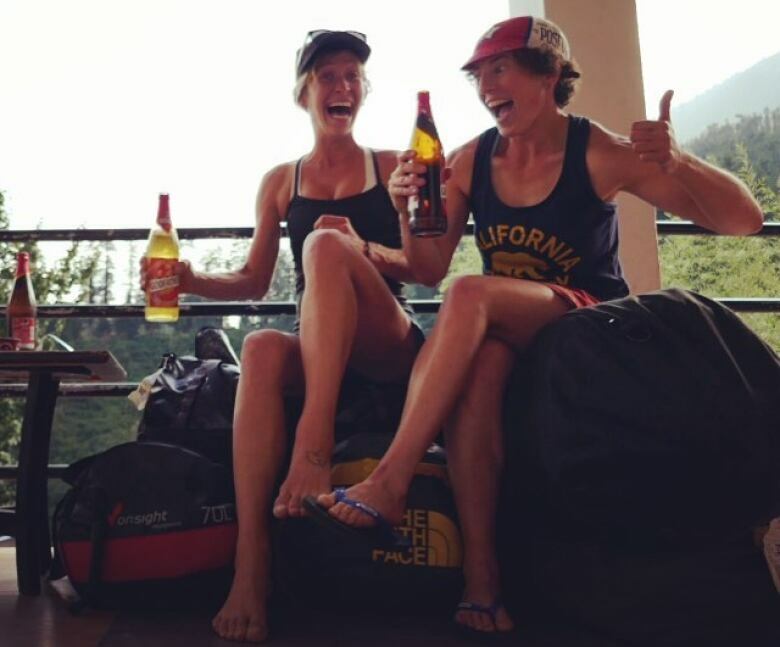 Smith and her climbing partner, Alison Criscitiello, earned The Mugs Stump Award for their plan to tackle Brahmasar II, a challenging peak in the Garhwal Himalaya of northern India. 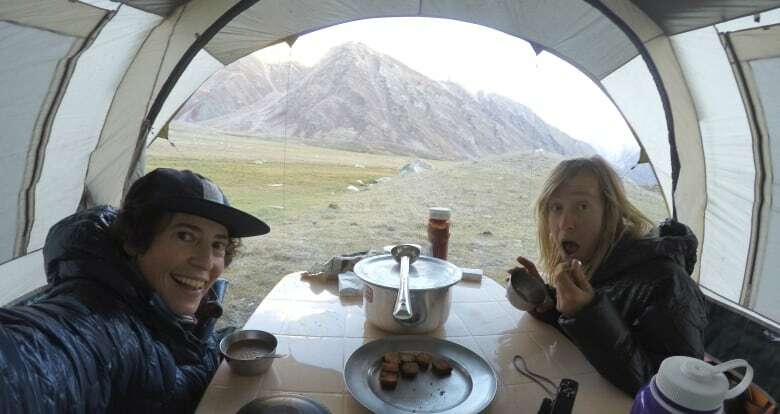 Flooding in the area forced them to change their plans, however, and the pair ventured even further north, into the Miyar Valley in the province of Himachal Pradesh, to try another climb. They made their way, at first, to a base camp at an altitude of 3,900 metres, before pressing on to an advanced base camp above 4,900 metres, said Criscitiello, reached by email in northern India. They each retired to separate sleeping areas around 10 p.m and, when Criscitiello went to wake her friend for breakfast the next morning around 7 a.m., she found her dead in her tent. "She passed away in her sleep," Criscitiello said. It was clear that Smith had died hours earlier, but Criscitiello said she attempted CPR nonetheless for about an hour before running back down to the base camp to alert staff at the lower altitude that she needed evacuation assistance. She said she then ran back up to the advanced base camp to be with her friend. "I sat with Anna for two nights and three days, until an evacuation team from Manali was able to get to me on foot," Criscitiello said. 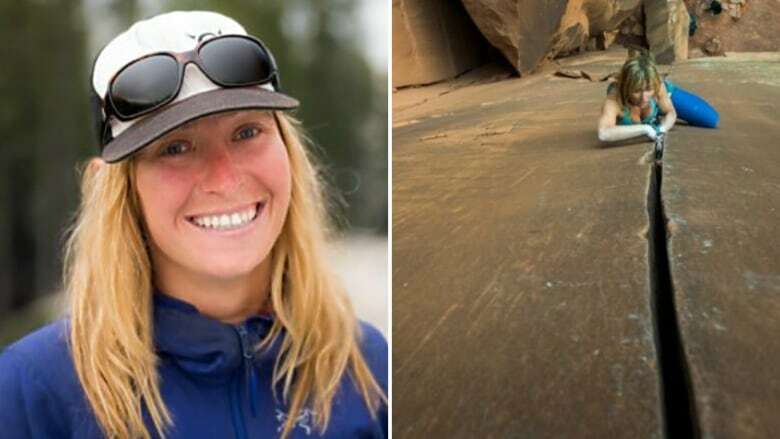 She said it took a full day to get Smith's body back down to base camp, a trip that included a difficult river crossing, then two more days from there to get her out of the Miyar Valley and to a road. 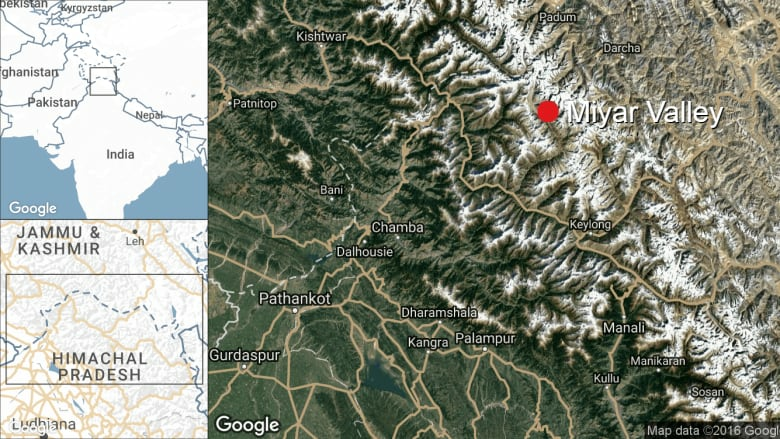 Criscitiello​ said an autopsy was performed in Keylong, India, which confirmed the cause of death as related to a medical condition, and not related to the climb, per se. Smith was cremated at a ceremony in Manali. Smith was well known in the international climbing community, as her increasingly ambitious exploits had garnered growing attention from fellow climbers as well as magazine editors and documentary producers who specialize in the sport. Locally, she was also known for her booming, boisterous laugh. "You'd be at a crag, and you'd hear that laughter and it was so distinct … you'd know instantly that she was around," said Cheng. "It was very authentic, almost absurdly loud, jovial, rambunctious laughter that would just echo off the rock walls around. That says a lot about her, I think. She just had this joy and she really connected with people." Cheng said he will remember Smith for her generosity, her wit and, perhaps most of all, her willingness to push boundaries. "She was by no means fearless — I've seen her get really scared on a lot of climbs — but she had a lot of courage to go after these really beautifully esthetic climbing lines, even if she wasn't really strong enough to do them," he said. "But she just went after them, and that had a profound effect on me. It changed the way I approached the sport and the lifestyle. It sounds clichéd, but she really inspired me — and not just me, a lot of other people — to really push themselves in the sport and push themselves into these really beautiful alpine places." A memorial service for Anna Smith is planned for Sunday, Oct. 16 in Canmore at 2 p.m. at Creekside Hall.